Too many recipes are there in the pipeline to be downloaded and I am so busy wrapping up the last few pages of the book I am currently reading that I don't get enough time to post them. So I will try to keep the prelude short here in minimum words. 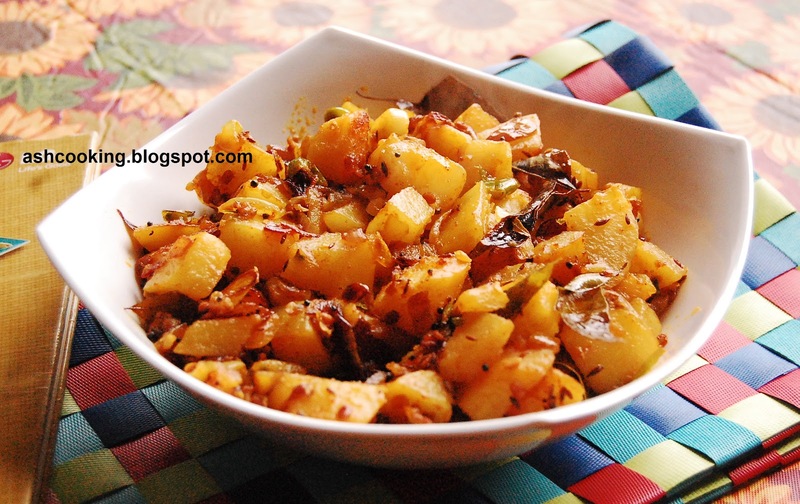 This Potato curry made in South Indian style infused with the fragrance of curry leaves is one of my favourite aloo preparations, I first having tasted it on our trip to Hampi. There was a small shack restaurant near to the hotel we were staying in Hampi with thatched roof and minimal furniture sparsely arranged inside that drew our attention in the very morning we reached there. Hungry and tired of the overnight journey, we were craving for a fulsome breakfast. Hence instead of searching for an aesthetically appealing and tastefully furnished eatery, we went into the one that was within our walking distance. Twinged by the hunger pinch, growing larger every passing minute, we waited patiently for at least over 45 minutes for the breakfast to be served, the tea arriving within 15 minutes of our placing the order. The hot cups of tea in the cold wintry morning helped us remain tolerant to the delay while patiently counting minutes for the meal, which, at a time we were forced to think, was being arranged from scratch by someone rushing to the market to do the groceries few moments after we placed the order. Notwithstanding the delay in serving, the food was really scrumptious. The potato curry accompanied by soft puffed-up puris made up for all the grievances and fumes that the long period of waiting caused in our minds. 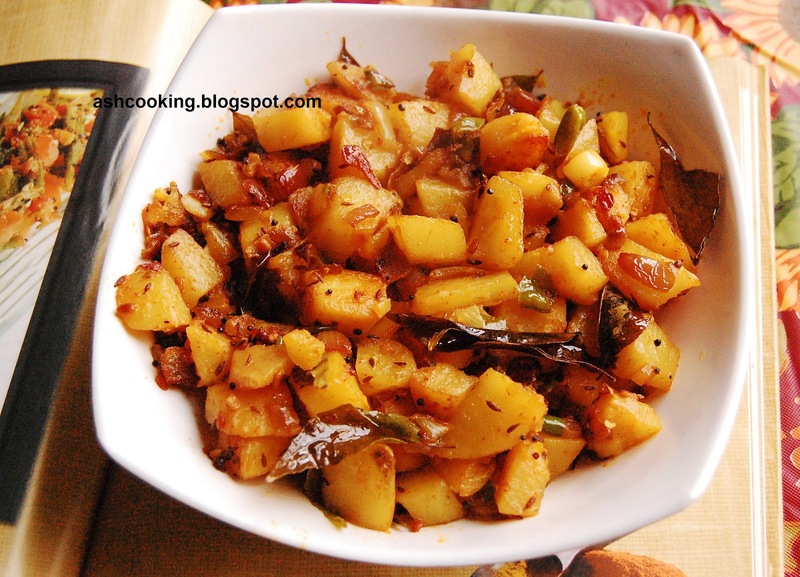 I swear this potato curry albeit simple in concoction is robust in flavour with high potency to win anyone's heart. 3) Add the onions and fry till onion changes color. 4) Toss in the potatoes and shallow fry. Add turmeric powder, dry red chilli powder, green chillies and salt. 6) Serve hot with roti or chapati.